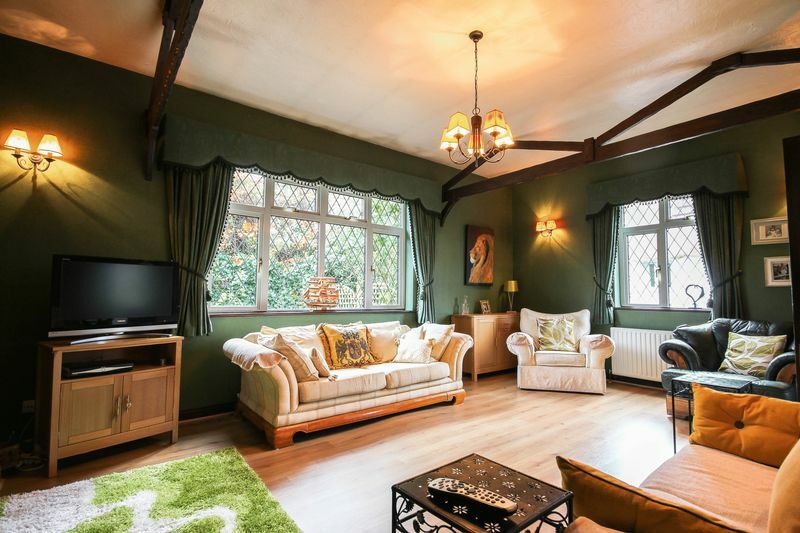 This individual home provides generous living space as well as high ceilings and character beams. 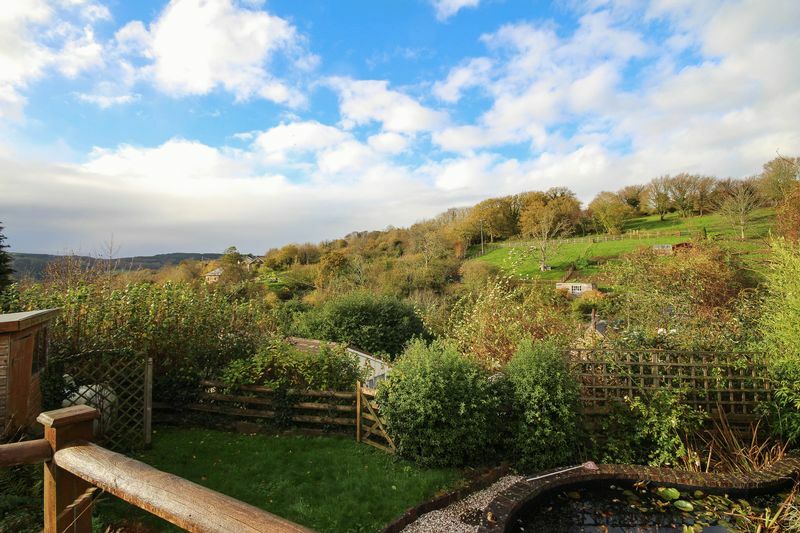 Enjoying beautiful far reaching views across the Teign Valley, Cobwebs is a sizable semi-detached property in a elevated tucked away position in the sought after location of Trusham. Drawings are also available for those wishing to extend the property further subject to the necessary planning and consents. 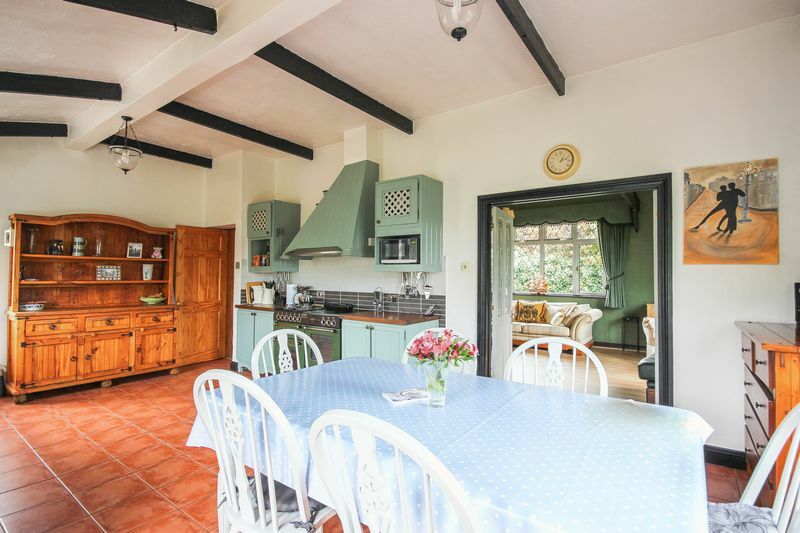 You are welcomed into the property by a large entrance hall that leads into the perfect study area enjoying beautiful views across the valley and a high level of natural lighting - where better to do the accounts? The living accommodation leads off to the left with doors to the living room and kitchen/dining room and a further hall with the bedrooms and bathroom to the right, a brilliant layout that works very well. 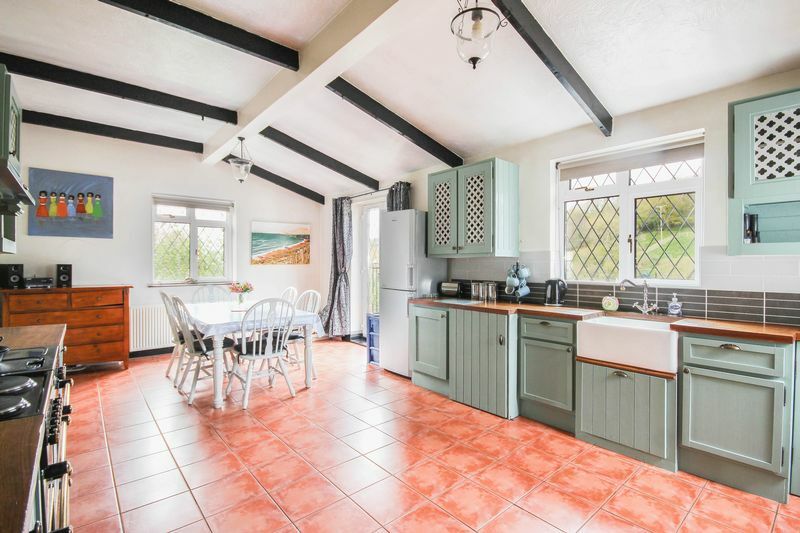 The kitchen is of a good size, again a very light and impressive room with a triple aspect enjoying a 'Farmhouse' style kitchen/dining room with a good range of wall and base units with solid Oak work surfaces over incorporating a Belfast sink and a Range Leisure cooker. 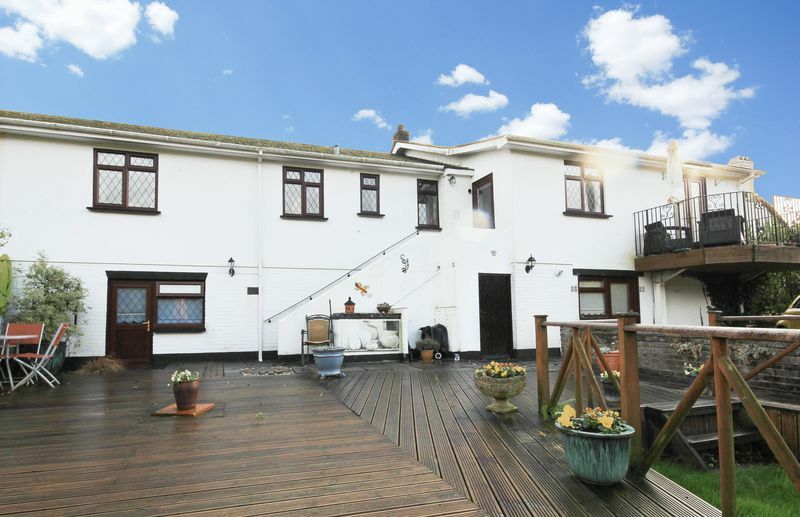 There is a stable door leading down steps to the garden and further rooms under the property. There is plenty of space for a dining room table where you can take full advantage of the views whilst dining. 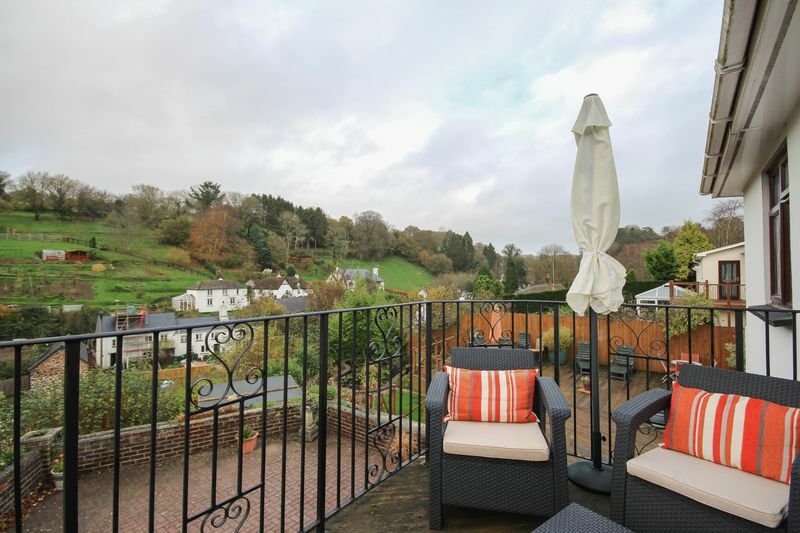 A fabulous feature to this room is the balcony - a little sun trap offering far-reaching views across the village of Trusham, the Teign Valley and the surrounding countryside. 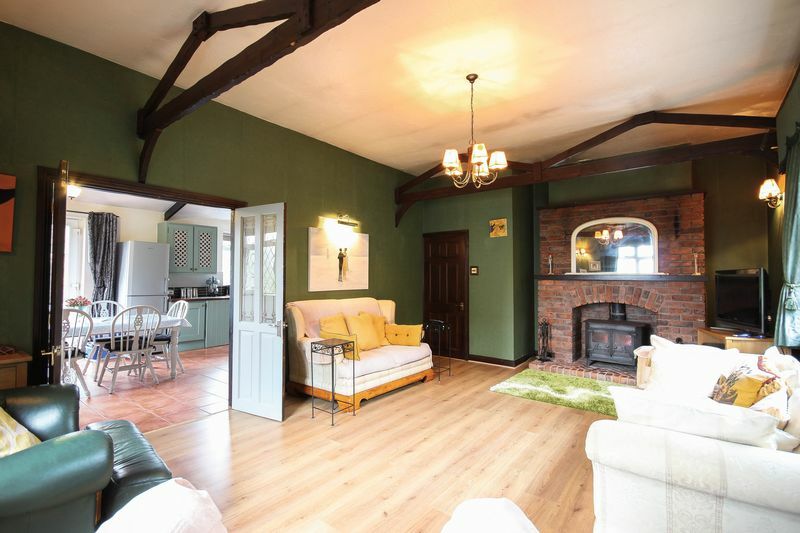 Double doors open into the living room with feature beams and a brick fireplace, home to the wood burner. 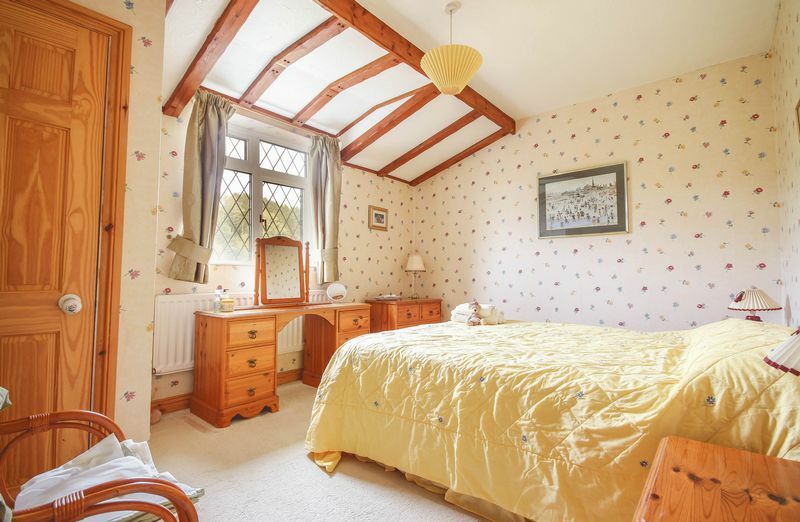 The sleeping accommodation is to the right land wing of the property where you will find three bedrooms, all of which are doubles and enjoy feature character beams. 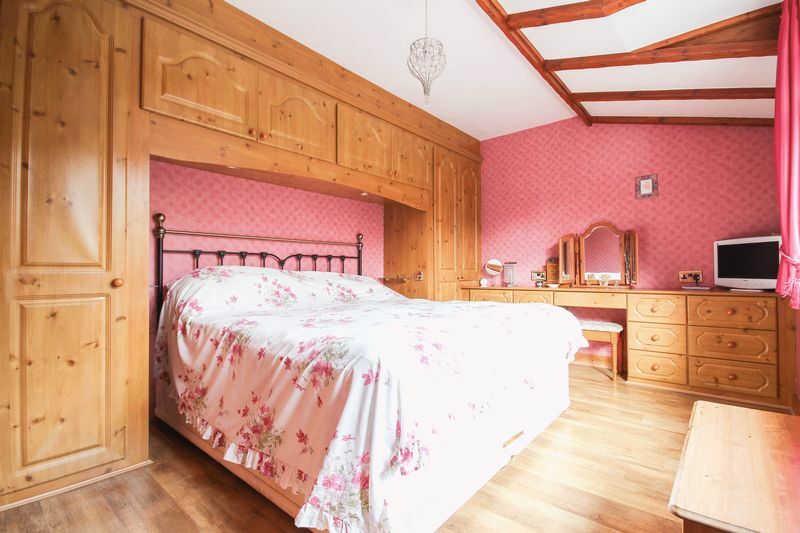 The master bedroom overlooks the private front garden and has a range of fitted furniture. 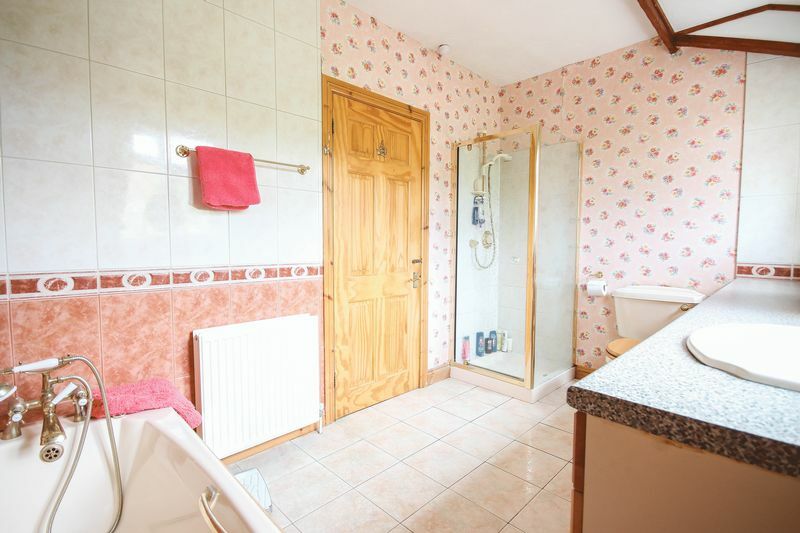 The family bathroom enjoys a 4 piece suite, with a shower cubicle, bath, wash hand basin and WC. 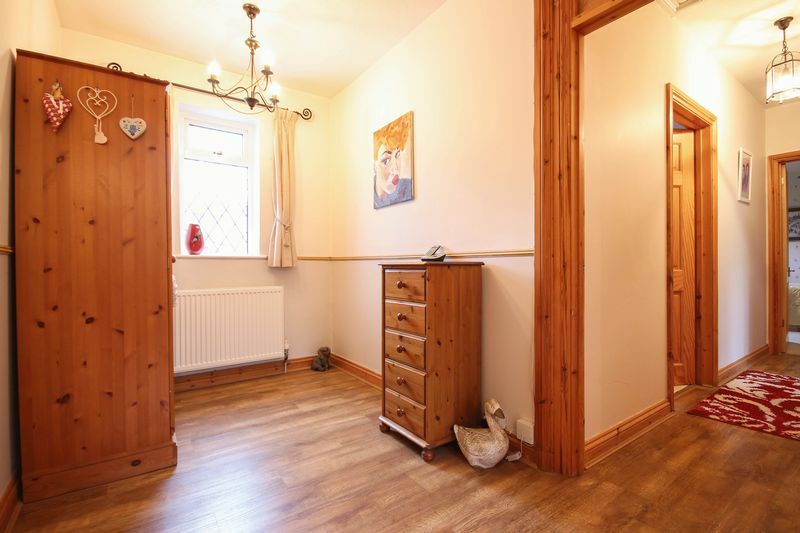 Below the property (accessed via the garden) are two/three rooms and a WC. 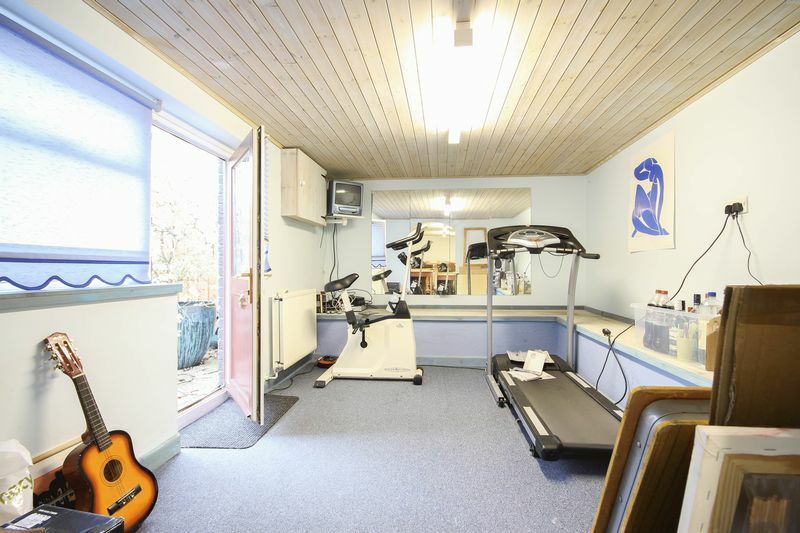 Room one/two is currently used as a gym leading into a study, carpeted with power and lighting. The second is a laundry room with a sink, plumbing for a washing machine and space for other appliances. 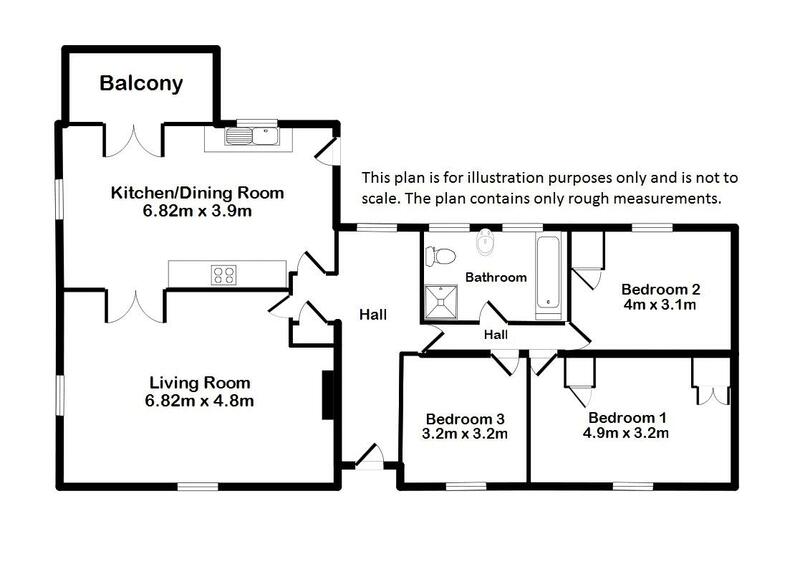 This has a lot of potential and could be converted into separate living accommodation (subject to any necessary permissions). 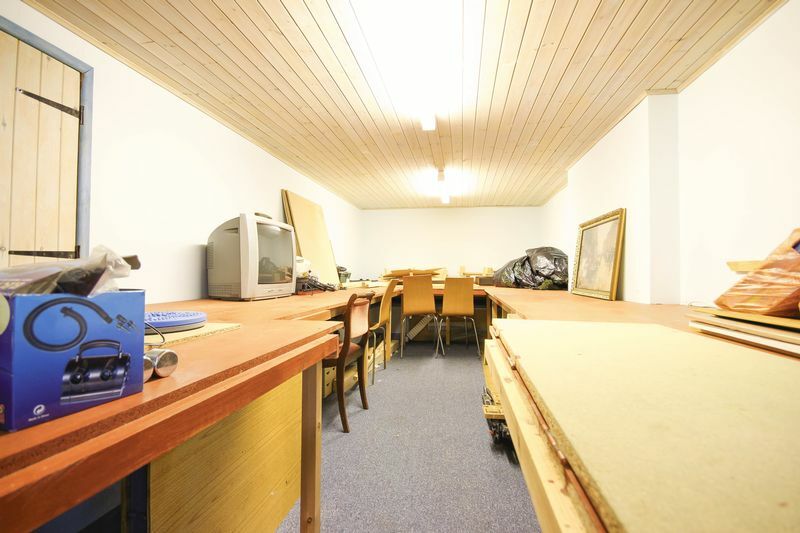 As it is it would make a perfect work shop/hobby room. 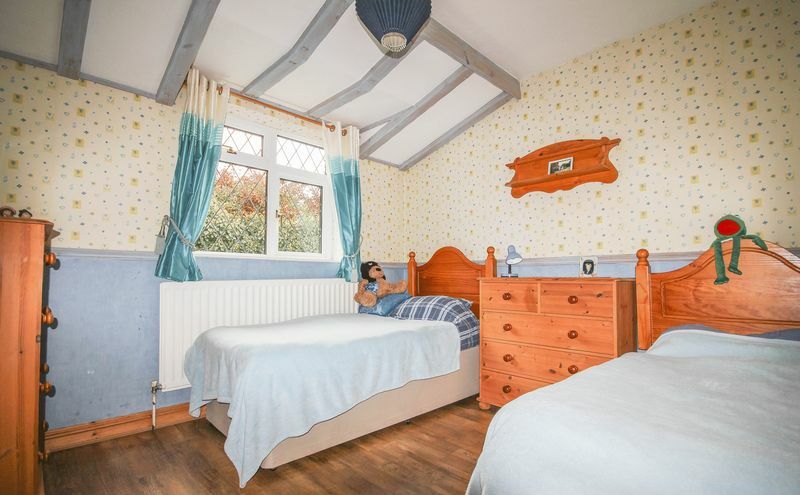 There is Calor gas central heating and uPVC double glazing throughout. The property is accessed via a paved driveway with wrought iron gates from Rattle Street, which leads around to the back of the property where there is a large parking area. There are both front and rear gardens. The rear garden is safe and enclosed making it suitable for both children and pets, it has been well landscaped into two main areas, a large area of decking - ideal for sun loungers, BBQ and a table and chairs, perfectly positioned to entertain and admire the views! Below the decking are areas laid to lawn - including a raised Carp pond and a garden shed with many mature shrubs. 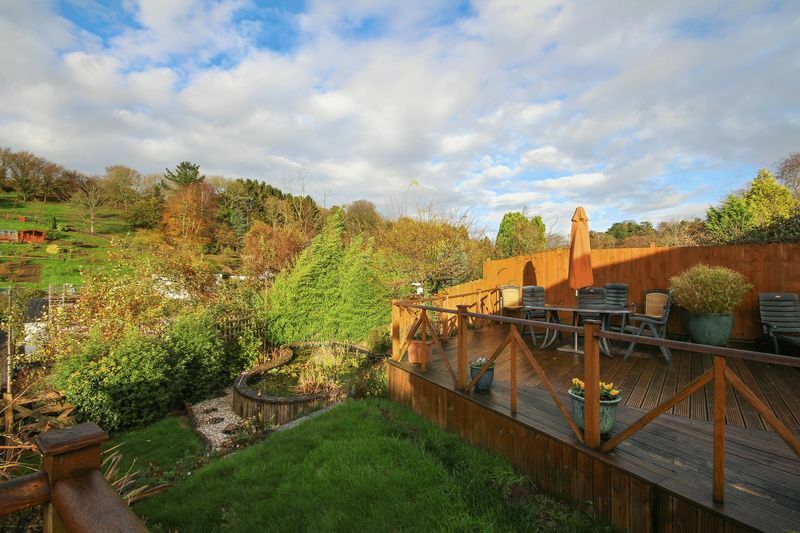 The main gardens have been well landscaped by the current owners and comprise of a large decked area ideal for alfresco entertaining with spectacular views and separate lawn areas; one of which includes a raised Carp pond and the other a garden shed. The gardens are safe and enclosed making them ideal for both children and animals and are a particular feature of the property. From our 31 Fore Street, Chudleigh office head South-West towards Plymouth for roughly 0.9 miles over the A38 and then take the B3193 and continue for 1.9 miles, take the right turn signposted Trusham and bare slightly left on Farley Hill after 0.1 miles. Continue along this road up the hill and then down into Trusham until you reach the thatch bus stop. Rattle Street is on your left and Cobwebs can be found down the lane on the right.